Home » Information &  Advice » How can we help you? Do you live at home and could do with a little help? We all want to live independently at home, but sometimes we could benefit from a little help. ACH Group uses the latest technology to match the skills and attributes of our staff to meet your needs, including languages spoken. ACH Group will listen to your needs and help support you to navigate the range of opportunities available to you. We can assist you to determine if you are eligible for government subsidies, and refer you to My Aged Care for an assessment if required. Other help at home – please specify. Would you like to maintain or improve your health and wellbeing? Good health is one of the foundations of a good life, but it’s about much more than just fixing problems as they occur. 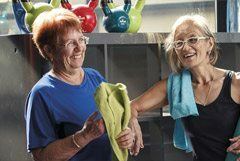 At ACH Group, our team of specialised allied health and nursing professionals deliver services to keep you healthy, active and happy all year round. Are you interested in maintaining your health? We can definitely help you with this. Are you interested in managing a health condition? Contact us on 1300 22 44 77 for more information. Do you require transition care? We can definitely help with this. I haven’t found what I am looking for. Sorry we haven’t been able to find what you were looking for. Please contact us on 1300 22 44 77 and we can help you navigate the range of services available. 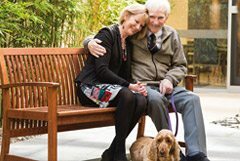 Could you benefit from some help caring for your loved one? Caring for someone is a big responsibility. To ensure you can continue in your caring role, you might benefit from taking sometime to focus on your own health and wellbeing. We offer a wide range of respite options tailored to meet the needs of both you as the carer and the person you are caring for. Do you want respite at your own home? Our specially trained Support Workers or Volunteers can spend time with the person you care for in their own home, or out and about in the community such as at the park, shopping centre or coffee shop. All our respite programs provide meaningful activities, whether for an individual or in a group setting. Our staff are equipped to respond to different levels of need. 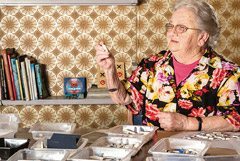 Dementia specific support: this can be one-to-one or in small groups tailored to the abilities and interest of people with dementia. Specific groups with dementia are also available. Are you looking for respite out and about in the Community? Our specially trained Support Workers or Volunteers can spend time with the person you care for out and about in the community such as at the park, shopping centre or coffee shop, or in their own home. Are you looking for respite at one of our cottages? Cottage-based respite aims to support people to maintain their independence and remain valued and active members of their community, while providing a break for their carer. 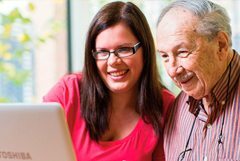 This service aims to keep older people connected to their community, provide flexible respite options and support carers to continue in their caring role. 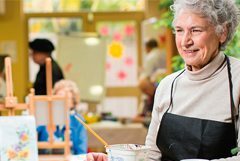 Located within the grounds of Perry Park Residential Care in Port Noarlunga, Riverview Respite offers quality care and lifestyle activities for older people while enabling their carers some time out. May be in the workforce and need assistance with day respite to continue their employment. Please contact us and we can help you navigate the range of services available. 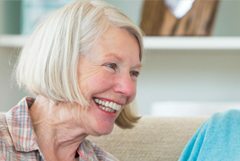 Are you looking to live in respite at one of our Residential Care homes? A short stay in one of our eight Residential Care homes can support a carer to take a break or attend an event, knowing their loved one is in good hands. Are you looking for something new to do? Rediscover old interests or discover new ones? ACH Group’s social activities offer opportunities for you to get out and about, discover new interests and be part of your community. Through a range of local group or one-to-one activities, we can help you maintain your social interests or foster new ones. Are you interested in reconnecting with past hobbies? Would you like to get out & about and see new or favourite places? Would you like to learn a new skill? Are you interested in reinventing or rediscovering yourself or find your voice? Are you looking to reinventing yourself with a new activity? Would you interact with people like you? Do you have something to contribute to a group of people interested in learning from you? Are you considering different living options? Are you looking to downsize to a more manageable lifestyle in a retirement living unit? 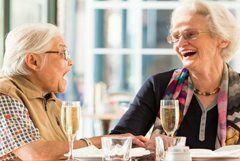 If you are considering downsizing to a more manageable lifestyle, we have a range of retirement living options in desirable locations across Adelaide, the Fleurieu Peninsula and East Melbourne. Would you like to stay living at home but require some help? Click Here to visit our Help at Home page to learn more. Are you looking for a more safe and secure environment in a residential living home? Each of our eight fully accredited homes across Adelaide and the Fleurieu Peninsula has its own signature and strong links with the local community. We are here to listen. Please call 1300 22 44 77 (7am – 8pm CST, 7 days a week) or fill in the form below.